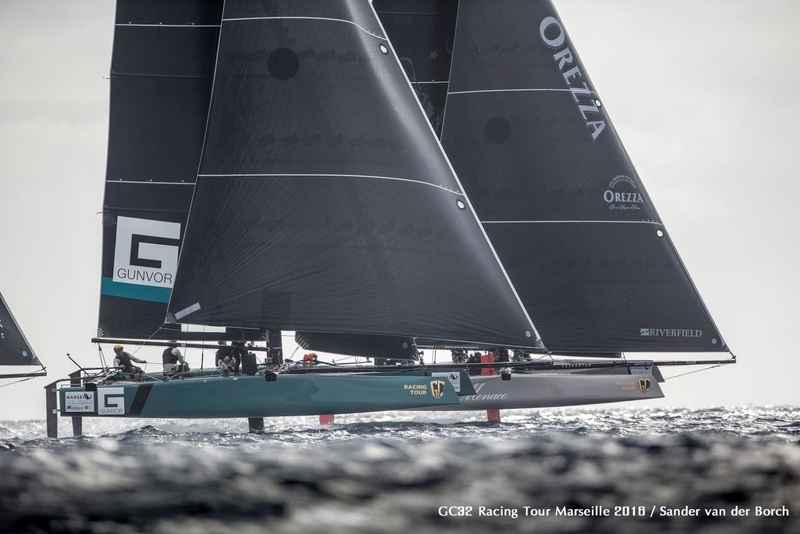 After a day and a half of France’s second city being battered by gale force inds, Marseille One Design, the last event of the 2016 GC32 Racing Tour, got going this afternoon with three races successfully sailed. 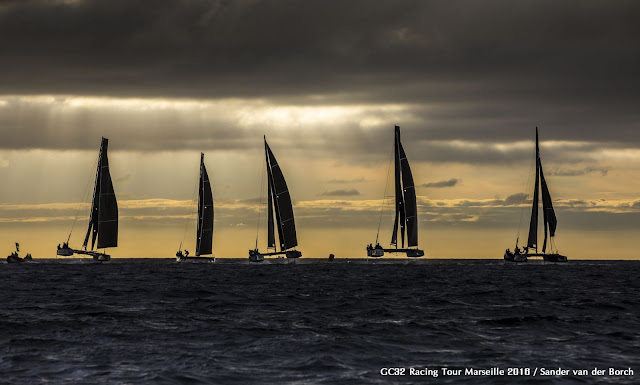 Following this morning’s thunder and lightning, as the last weather front associated with this system edged inland, so the wind dropped to a more modest 10-15 knots and the first race got away at 1541 after one general recall. At the end of day one, 2016 GC32 Racing Tour leader NORAUTO (FRA) powered by Groupama Team France holds first place at Marseille One Design, after scoring a trio of second place finishes today. The French team’s rival for the 2016 GC32 Racing Tour title, Team Tilt from Switzerland, won the first race, but lacked the NORAUTO’s consistency. “We sailed pretty well in that race,” conceded Team Tilt’s skipper Sebastien Schneiter (SUI). 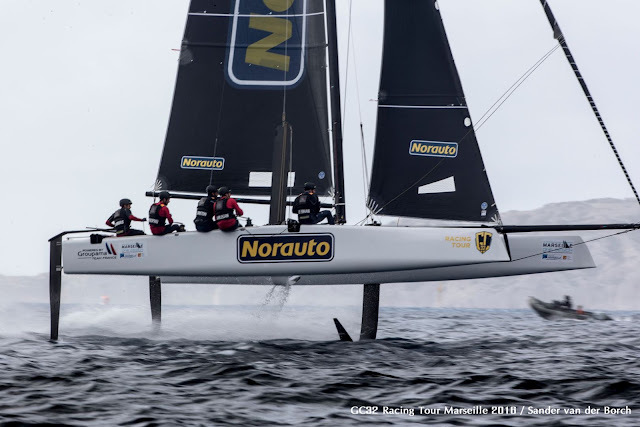 “The other two races were a bit more complicated – in the second we got a penalty on the last reach: We were battling with NORAUTO and they did a few match racing moves on us. 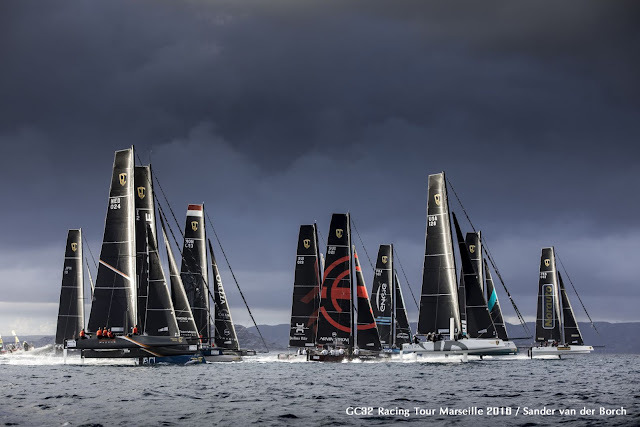 In the last race we were over early at the start.” Schneiter said overall it wasn’t their best day, but Team Tilt’s speed was good and they had manoeuvred well. 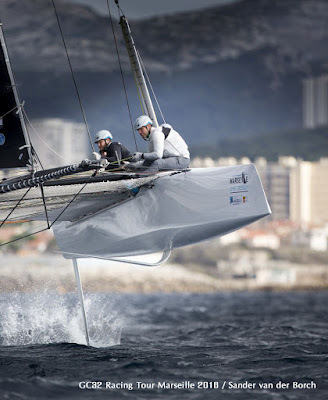 Nonetheless they currently lie third overall, a point astern of Mamma Aiuto! 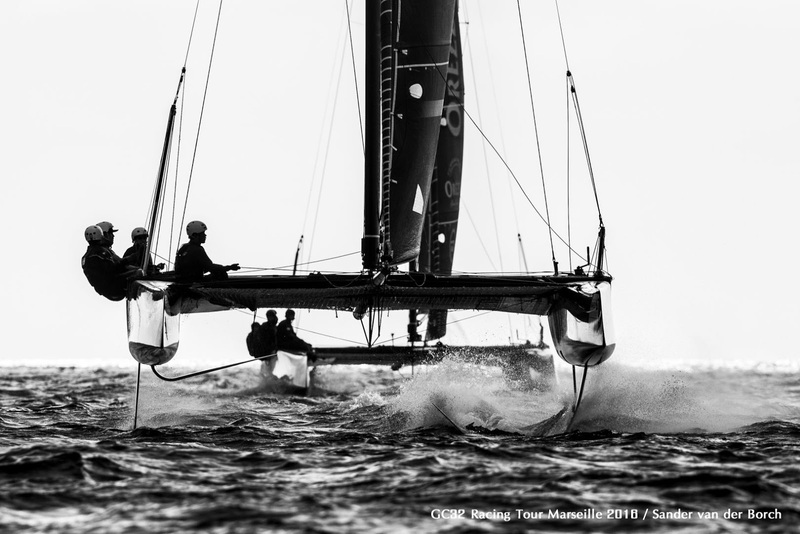 With the sun getting low in the sky and the wind starting to misbehave, proceedings were halted after three races. Marseille One Design continues tomorrow, when it is likely there will be a wait until the afternoon for the wind to fill in.